Is this true? 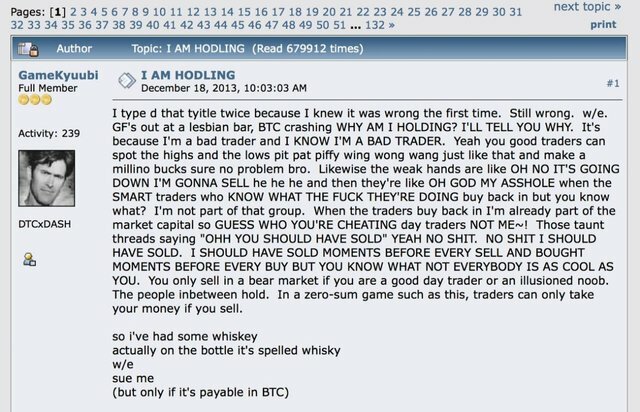 I always wondered the genesis of HODL. Cool stuff if this is true. Let me know. Alright, then I am resteeming it. Wow, thanks for sharing @vyber8.